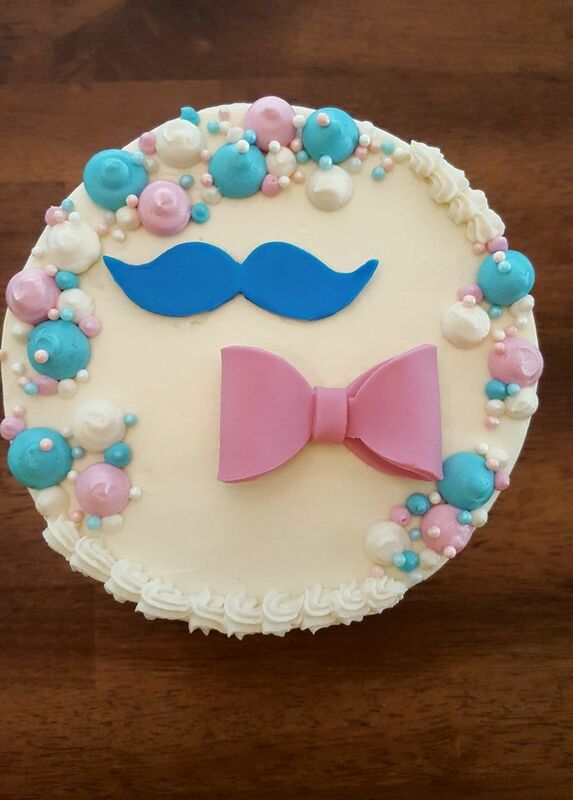 I was given the privilege of creating a cake and cupcakes for a gender reveal party this past weekend. I received a sealed envelope with the sonogram and gender of the baby– the sonogram tech and I were the only people to know if it was a boy or girl! 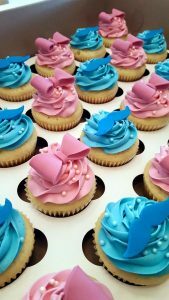 The cake was filled with the appropriate color candy and the cupcakes were filled with colored frosting so that when they were cut, the gender was revealed to the parents, grandparents, aunts, uncles, and other friends and family who were there. How fun is that?! I was honored to be part of such a special occasion!